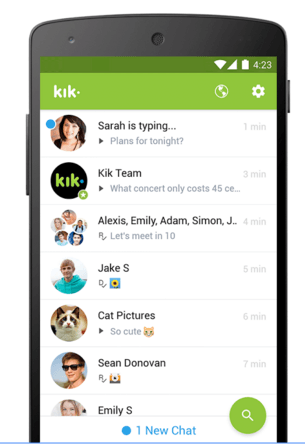 Kik is a very easy-to-use app that you can try as an alternative to whatsapp. Most important feature of this app is that there is no need of a cell phone number, which is a primary requirement while using other apps built to share messages. Here just the old school names can be used as your identity. This feature of this app has made it very famous among the youths. Started in 2009 on the Blackberry network, this app has also a web browser that enables the user to browse and search with ease. 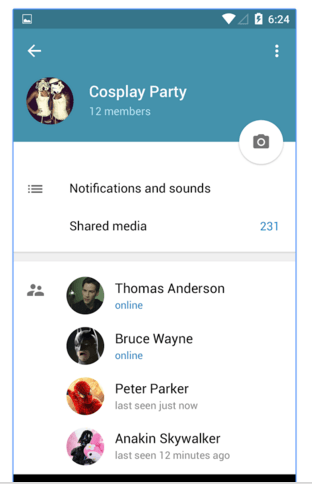 It facilitates group chatting by just using hashtag or you can also create a personal group. So, those using iPhone, Android based or the Window based devices can try this app and start sharing messages. Having a network of more than 600 million users, which is increasing everyday Line Messenger is a major challenge for Whatsapp. This is probably the only app that is supported on a series of networks or devices based on Windows, iOS, Android, Blackberry, OS X, Windows phone and even Nokia Asha and Firefox OS. Here the user not only get the facility of free message exchange but also free voice call as well as video calling to get connected with other users of this app. The user can update the status and post on the timeline that is its social network aspect. 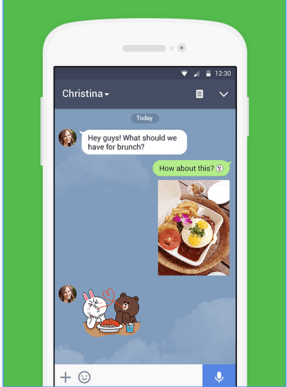 The Line Messenger has stickers that you can say blown-up emojis. Through the stickers, the user can widely communicate the feelings. For expression of complex feelings, there are various kinds of stickers that the user can buy from the store. Viber has a well spread global network of more than 200 million subscribers and here the user gets access to more than one dozen languages. Over the years, this network has emerged as an app for fast message exchange. Viber offers absolutely free dialing to the users of its own network and also the cost is very low for calls on other networks. 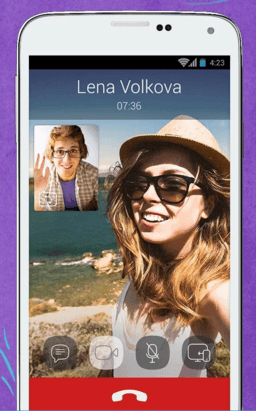 When Viber came into existence it was considered to be a challenge for Skype. Now, it is available on series of networks or devices such as Blackberry, Android, Windows devices, iOS, Symbian and Baba too. A Japan based electronic, commerce and internet company Rakuten has bought it for $900 million. Although WeChat is not as famous as Viber and the Kit apps, yet it has also several attracting features for instant messaging. It has been designed beautifully that draws the attention of users. Modified on regular basis, this app is totally free ever and is supported on networks and the devices based on iOS, Android and Windows. The user of this app gets facilities like group chat, video chat, stickers, free calling to other WeChat subscribers and send messages. Here you can also find free games and get locked in competition with the friends who are users of this app. A China based company Tencent Holdings founded this app as Weixin, which has been renamed as WeChat now. Well acclaimed in China, this app is also crossing the borders with users getting connected from other countries too.